With any kind of borrowing, the decision to go with fixed rate or floating rate debt can be difficult to make. Short-term interest rates are close to zero, and the Fed has recently indicated that they will keep them exceptionally low at least through 2014, making the floating rate alternative very tempting. However, fixed rates are also at or near historic lows across the yield curve (10 year treasuries are yielding around 2.0% at the time of this publication), and fears of future inflation caused by excessive money printing have many people thinking that long-term rates have nowhere to go but up, in which case locking in a low long-term rate now would be prudent. Depending on the borrowers needs, there can be good arguments made for either choice, but it’s important to note that 100% floating debt or 100% fixed debt aren’t the only choices. 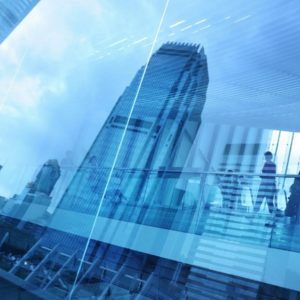 There are in fact alternatives all along the continuum, and customized solutions can often be found to match specific circumstances using a blend of fixed and floating rate debt, and/or using derivatives such as interest rate caps. It’s not possible to cover all borrowing scenarios, but we’ll explore a number of factors that should play a part in the borrower’s decision-making process. 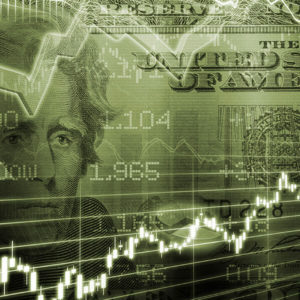 While Treasuries are a useful benchmark to monitor, there are other rates that may provide a more appropriate benchmark for borrowing purposes. LIBOR (London Interbank Offered Rate) is, in theory, the interest rate that banks charge each other for loans – the “in theory” caveat is because in times of severe market stress, interbank lending dries up significantly. Few banks feel they have surplus funds they are willing to lend to other banks, especially long term. 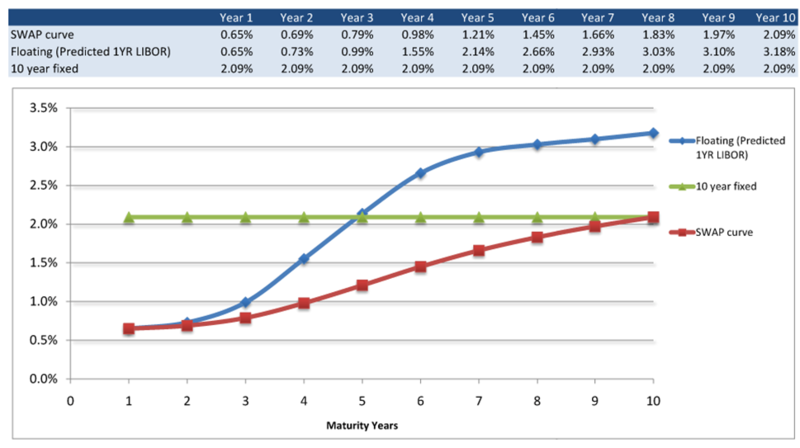 Figure 1 below shows the swap curve out to ten years (the blue line). The 10-year swap rate is 2.09%, slightly higher than current 10-year Treasuries. It’s fairly simple to figure out the “predicted” or “implied” future 1-year LIBOR rates using the data on the curve – i.e. what is forecasted to be the 1-year LIBOR rate in 3 years, 5 years, etc. This is not likely to be an accurate prediction, but it’s the market’s current view on expected implied future rates (red line) derived from the current term structure. 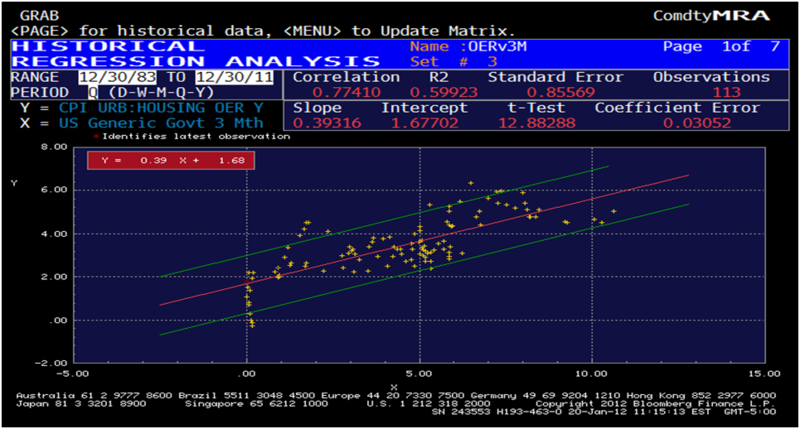 The green line is just the ten year fixed rate at 2.09%. In a typical upward-sloping interest rate environment (which we have now), the floating rate (red line) starts off below the fixed rate (green line), but is forecasted to finish above the fixed rate later in the 10-year period. Not only are these “forecasted” rates likely to be inaccurate, they also have a tendency to miss in the same direction a large percentage of the time. Figure 2 below shows how the actual one-month LIBOR rate (thick blue line) compares to what the predicted one-month LIBOR rates were during the prior two years. Figure 2 is often referred to as a “hair” chart where each “hair” on the graph represents the two- year prediction of future one-month LIBOR rates. 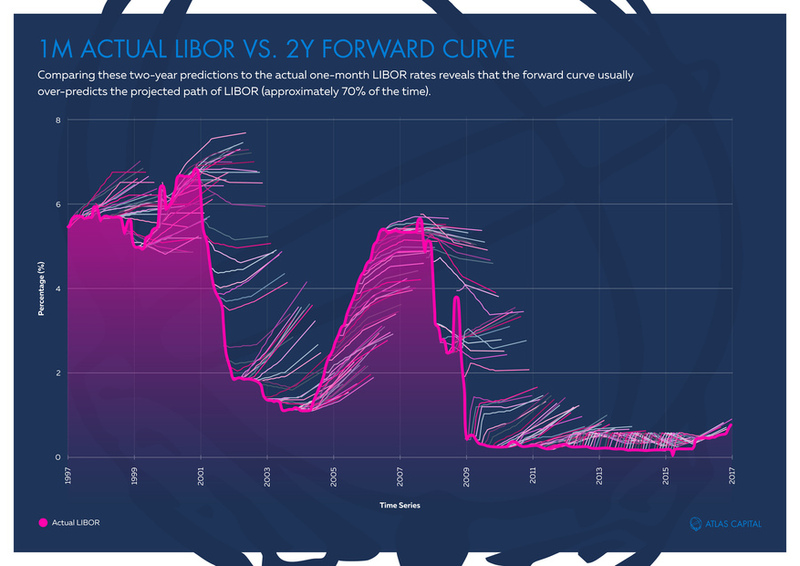 Comparing these predictions to the actual one-month LIBOR rates reveals that the forward curve usually over-predicts the projected path of LIBOR (approximately 70% of the time). This is an important point when considering the economics of floating versus fixed rate debt, and in isolation, makes a case for choosing floating rate debt. However, another important variable to consider is the risk tolerance of the borrower. The ongoing housing crisis is a clear example of how too many borrowers took on too much risk. Many people could only afford the payment determined by a low short-term rate, and either assumed the rate would stay low indefinitely, or that their underlying asset would stay well above their principle on their loan indefinitely. We all know how that turned out. When taking on floating rate debt, it’s imperative that you “stress test” the future in terms of the ability to make potentially higher payments, along with the affect on the underlying asset in different scenarios. In doing so, you may find that neither the 100% floating nor 100% fixed seems like the ideal solution. For example, let’s consider the financing of a diverse basket of rental properties. If the forecasted income or rent on the properties has some correlation with interest rates, then financing a portion of this with floating debt can actually reduce risk, acting as somewhat of a hedge on the income. Figure 3 below charts a regression of the “Owner’s Equivalent Rent” index (Y-axis) against three-month interest rates (X-axis) since 1983. There is clearly a long-term relationship (though not a very “tight” correlation), which is not surprising. Owners Equivalent Rent has a large weighting in the CPI calculation, which in turn is loosely correlated with interest rates. A period of higher inflation would likely coincide with rising rents and higher interest rates. The slope of the “best fit” line in this chart is 0.39, meaning that a change in the growth rate in owners equivalent rent of 1% (from 3% to 4%, for example) would likely correspond with an increase in three-month interest rates of about 0.39%. Looking at it another way, if there was an increase in interest rates of 1%, the predicted change in the growth rate of owners equivalent rent would be about 2.5% (1/0.39). As a simple example to consider, let’s assume the rental properties have a purchase price of $10,000,000, financed at 80% LTV with a bullet loan, and that rent at the time of purchase is 10% of the cost, or $1,000,000 per year. In this case, a 1% increase in interest rates is equivalent to $80,000 per year additional interest expense. Somewhat offsetting this would be a corresponding forecasted increase in rent of 2.5% above the previous rate, or initially $25,000 (increased growth rate would compound this $25,000 over time). This is roughly a 30% offset the first year, so in this case, a mix of 30% floating rate debt and 70% fixed rate debt might make sense for a borrower who wanted to try and avoid reductions in net cash flow for any year compared to what they initially modeled. A higher floating rate mix could be appropriate for someone who didn’t mind an initial reduction in net cash flow from an interest rate increase, if it were likely to be more than made up in later years, due to the rent compounding at a higher rate than modeled. Perhaps the risk tolerance of the borrower is such that they are willing to go with 100% floating rate debt, but at the same time they wish to eliminate the risk of the floating rate going above a certain level. This can be solved with the use of an interest rate cap. An interest rate cap is a purchased option, protecting against a specific interest rate rising above a specified level. Caps are typically a string of options, or “caplets,” corresponding to each interest rate payment. A cap assures the borrower that their interest rate will have a ceiling that—when combined with the prorated option premium—represents the worst-case interest rate paid. A cap is ideally included in the terms of the original floating rate financing, but can potentially be layered on subsequently by a third party. Like all options, the pricing of caps depends on time, volatility, and strike price. In a typically upward sloping yield curve, the outer years are far more expensive to hedge than the near term, as a cap at a certain interest rate moves from far “out-of-the-money” to potentially “in-the-money.” Figure 4 below shows the cost of capping future one-year LIBOR rates at various levels for a varying number of years. With the Fed’s promise to keep short term rates very low for a few more years, a cap at a low rate of 2% going out just a few years is very inexpensive, as this “insurance” is very unlikely to pay off. 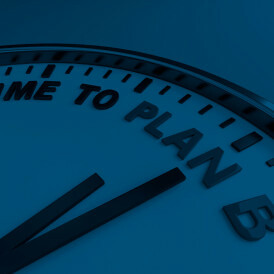 10-year protection is quite costly in comparison, as LIBOR is forecasted to rise above this level in the later years, thus you are purchasing options that have a much greater chance of paying off. Let’s say the borrower in the previous example is comfortable with the profitability of the investment in almost any economic scenario, as long as the interest rate does not exceed 7%. Let’s also assume this borrower wants to take advantage of the tendency of floating rates to stay lower than would be predicted by longer term rates. The borrower would also prefer 100% floating debt, if the risk of paying an “all in rate” above 7% can be removed. A final assumption for this scenario is that this borrower is being offered fixed or floating terms with a credit spread of 250 basis points (2.50%). The lender is willing to loan at 10 years fixed at 4.59% (10 year swap rate of 2.09% + 2.50% = 4.59%) or at a floating rate of 1 Year LIBOR + 2.50% (payments the first year would be at 0.65% + 2.50% = 3.15%, and this would reset every year). Looking at the interest rate cap cost in Figure 4, a 4% cap would cost 0.47% each year for 10 years. This, combined with the 2.50% spread above the benchmark, would effectively cap the “all in rate” just below 7%. Whenever a 1-year LIBOR exceeds 4%, the benchmark is still capped at 4%, so the maximum rate paid in this case would be 4.00% (max benchmark rate) + 0.47% (option premium) + 2.50% (credit spread) = 6.97%. 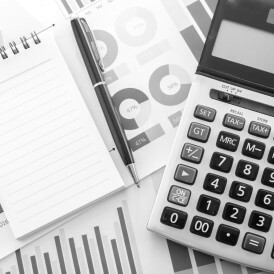 Incorporating interest rate caps into the initial financing instead of layering them in later with a third party is ideal for a number of reasons. Since the lender is already taking credit risk with you, they should be willing to amortize the option premium over time with your payments. In this example, they could simply add a 4% cap to the floating rate benchmark into the terms of the loan and change the spread from 2.50% to 2.97%. Purchasing this protection from a third party introduces another credit relationship that can be costly. They may require you to pay the entire option premium up front instead of amortizing it, in order to eliminate the credit risk they would have with you in the amortization scenario. If you pay the entire premium up front, you are taking on a big credit risk with the bank (not a small issue in today’s environment). Second, if you purchase the caps from a third party, the timing of interest rate observations and settlements for the interest rate caps may be different than those of the initial financing, resulting in basis risk. Third, the terms may not be as simple as this example, and the benchmark might be something specific to the bank you are dealing with. For example, your bank may prefer to use their district’s COFI or “cost of funds index” as their floating rate benchmark, and a third party may not be willing to sell a cap against this benchmark. You may only be able to add a “proxy hedge” based on a benchmark that is not perfectly correlated to the rate on your loan, also leaving you with potentially significant basis risk. There are certainly many other factors that may come in to play that are beyond the scope of this article. It might be prudent to incorporate the borrower’s entire portfolio of assets and liabilities into the analysis in order to figure out how sensitive they are likely to be to interest rate changes. 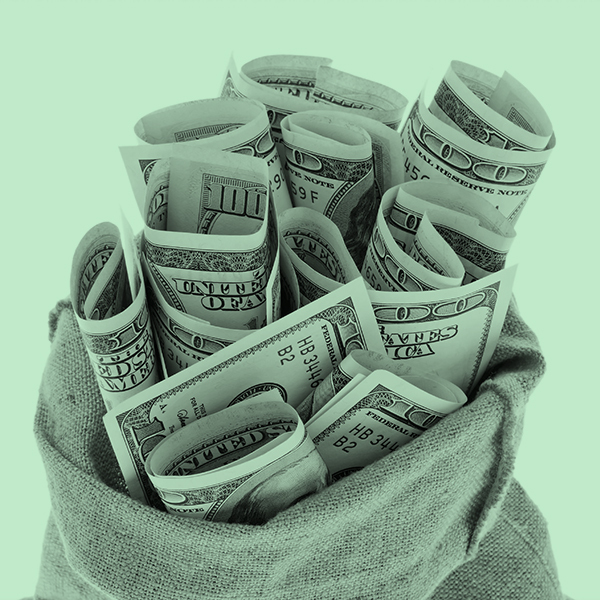 If there are large cash balances likely to be held over the time of the borrowing, a portion of floating debt to match the amount of cash can certainly be justified, as it would reduce the overall portfolio volatility. In conclusion, any financing decision should first and foremost incorporate a “stress test” scenario analysis, making sure significant economic and interest rate shocks are manageable within your risk tolerance. Second, any natural hedging opportunities should be exploited, with the caveat that past asset correlations should be used as a rough guide in the risk-reward analysis rather than a guarantee of future behavior. Understanding all of your potential options and the tools at your disposal is vital when creating the ideal financing solution.